James Holmes: Colorado Theater Shooting Gunman; Who Is He? James Holmes. Mr. Holmes, or James Eagan Holmes, is the Colorado Movie Shooting gunman, and one who doned, according to an ABC News Twitter tweet, “full riot gear, carrying 3 weapons, incl AR-15 assault rifle, which can hold upwards of 100 rounds” and shot 71 people – 59 wounded and 12 dead as of this writing – as the Wednesday midnight premier of The Dark Knight Rises was showing at a Cinemark theater, the Century 16 movie theatre in Aurora, Colorado, later telling police he was ‘The Joker’. But just who is the man who did this, why, and how? From mainstream media reports, like CBS News, James Eagan Holmes is 24 years old, white, male, and a college student. More specifically, he went to high school at Westview High School in San Diego (Class of 2006) graduated from the University of California, Riverside (near San Diego), with a neuroscience bachelor’s degree, and was going after his PhD at University of Colorado Medical School, only to have recently dropped out. The 24-year-old man arrested in the shootings at an Aurora theater overnight was in the process of filling out the paperwork to voluntarily withdraw from a CU graduate program in neurosciences. James Holmes enrolled at the University of Colorado graduate school in June 2011. He was not a medical student and would have been working toward a PhD. He was most likely last on campus in June, police say. Citing an “abundance of caution,” university police have asked all non-essential campus personnel in the campus’ three research towers to leave Anschutz Medical Campus. The chancellor of the University of California Riverside, where Holmes received his undergraduate degree, issued a statement, expressing his sympathy to those affected by the shooting. Today I join with you and others across the nation in expressing my profound sadness over the horrific shootings that occurred in Aurora, Colorado. On behalf of the entire UCR community, I extend our deepest sympathy to the victims, their families, and all of those impacted by this tragedy. The alleged shooter has been identified by police as James Eagan Holmes. Mr. Holmes was a student at the University of California, Riverside, graduating with honors in spring 2010 with a B.S. in neuroscience. Anyone feeling the need for counseling or support is encouraged to contact the Counseling Center at 951-827-5531. Please join me in sending your thoughts and prayers to all those affected. 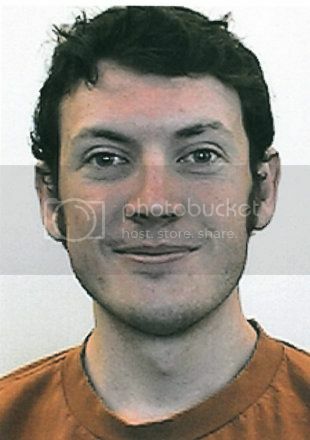 Be the first to comment on "James Holmes: Colorado Theater Shooting Gunman; Who Is He?"